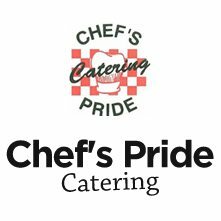 Dinner Buffet Service Package $29.00 – Chef's Pride Catering, Inc.
Price $29.00 per guest with a minimum guarantee of 100 guests. Price $31.00 per guest with a minimum guarantee of 75 guests. Price $33.00 per guest with a minimum guarantee of 50 guests.